The beautiful Little Miami River originates in Clark County and flows south and west, passing through Clifton Gorge, and winds through the eastern third of Greene County. The stream continues southwestwardly, flowing through Warren and Hamilton Counties before emptying into the Ohio River about four miles east of Cincinnati. The Little Miami has long been known for its beauty and as a destination for a fun canoe ride. If you’ve taken a trip down the river you know that its banks are mostly wooded, and wildlife flourishes in this corridor of green. It is not an accident that this wildlife still has a home along the river, and that people can still enjoy its beauty. When Greene County was established in the wilderness in 1803 people quickly realized its potential for water power. Millwrights planned and built mills to saw logs cut from the forest, grind grain grown in the new crop fields, and other services vital to settlers. By 1875 there were 22 water-powered mills were operating along the Little Miami in Greene County. Over time the forests were cut, and the land converted to agricultural use, and the stream began to change. Silt from eroding soil started washing into the stream, and untreated sewage from growing communities polluted the water. Larger industries and an increasing population put more and more pressure on the river and it started losing its natural beauty. In 1967 a man named Glenn Thompson decided to do something to protect the river. Glenn, the editor of the Dayton Journal Herald, loved canoeing on the stream and became an advocate for its protection. 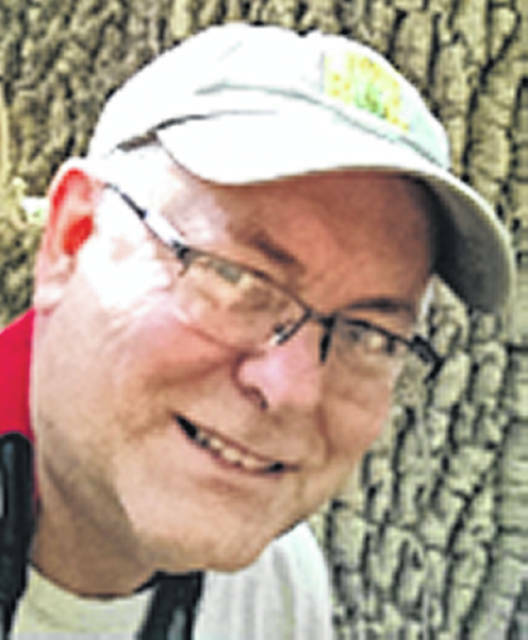 He and three other local conservationists formed Little Miami, Inc., a privately funded non-profit organization to protect the river that year. In 1968 the U.S. Congress passed the Wild and Scenic River Act, which designated portions of the Little Miami as a National Scenic River. In 1969 the Ohio Department of Natural Resources dedicated the Little Miami as Ohio’s first State Scenic River. Since 1969 Little Miami, Inc., now called the Little Miami Conservancy, with the help several public agencies and private partners such as the Little Miami Watershed Network and Tecumseh Land Trust, has made significant progress in protecting the river, and educating people about its significance. To date about 55% of the river and its wooded banks have been protected. Glenn also bequeathed much of his personal wealth to a Fund at the Dayton Foundation to protect land along the Little Miami River specifically in Greene and Clark Counties. These funds over the years protected some 1,750 acres along the river in these counties. This year is the 50th anniversary of the Little Miami’s designation as a State Scenic River. Although much has been accomplished, there is still much to do. Be a part of the effort! Join Little Miami Conservancy through their website at partee@littlemiami.com, or the Little Miami Watershed Network at lmwatershednetwork@gmail.com, and help the beautiful Little Miami!